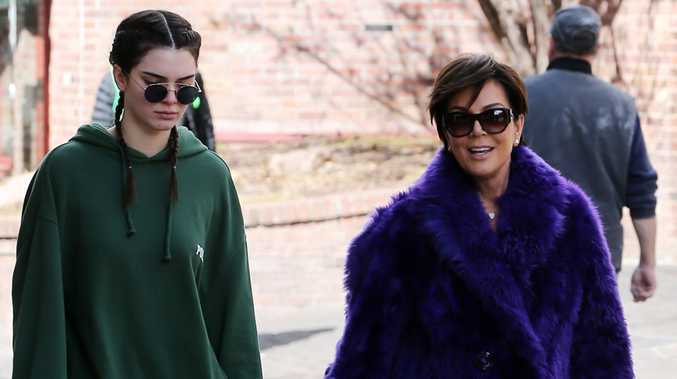 Kendall Jenner turns to her mother when she gets stressed. The 20-year-old reality TV star is one of the world's most in-demand models but admitted she has days when she is down and the only person who can help is her mother and manager Kris Jenner. She wrote on her website KendallJ.com: "When things get really bad, and I'm really down, I call my mom. She listens to me - which is so important - and gives really good advice. I feel lucky to have such a strong support system when things get rough and feel overwhelming." And while Kendall heavily relies on her mother, she can also turn to a close group of girlfriends to make her smile. She said: "When I feel down or upset, I like to distract myself with friends. I call them because they're the ones that make me laugh and know exactly what to do to make me happy. In that sense, I truly have the very best group of friends. Other times, though, I just want to be alone. I'll stay at home and tune out the rest of the world. It really depends on the situation and what is making me upset." Meanwhile, Kendall's sister Khloe Kardashian revealed that the siblings have cut Kris out of their family group texts, which also feature Kourtney Kardashian, Kim Kardashian West and Kylie Jenner, so that she doesn't have to take sides when they fight. Khloe, 31, told PEOPLE: "Now when we have our group texts where we curse each other out, we leave her off of it. So, we've learned our lesson. We leave her out of it so she doesn't feel like she has to choose. We've evolved." And Kourtney, 37, added: "We curse amongst ourselves."